In this week’s installment of our recurring series bringing you the history of Princeton University and its faculty, students, and alumni, frozen pipes make bathing impossible, the campus celebrates the issuing of a new postage stamp for Chinese New Year, and more. February 5, 1822—John Maclean, a tutor at the College of New Jersey, catches a student lighting the fuse of a bomb in an entry to Nassau Hall, stomps it out, and saves the building from damage. 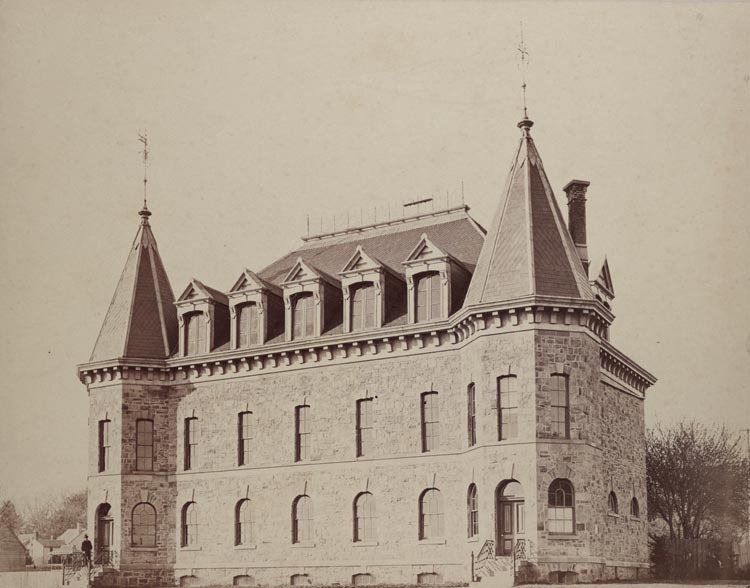 February 8, 1877—Because the gymnasium’s water pipes have frozen, using the campus’s only bathtubs will have to wait until the spring thaw. Gymnasium at the College of New Jersey (later named Princeton University), ca. 1870s. Historical Photograph Collection, Grounds and Buildings Series (AC111), Box MP47, Image No. 1544. February 10, 1994—A new U.S. Postal Service stamp honoring the Chinese New Year of the Dog is introduced at a ceremony in Chancellor Green as part of Princeton’s celebration of the lunar new year. 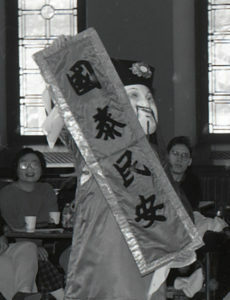 Celebration of Chinese New Year in Princeton University’s Chancellor Green Hall, February 10, 1994. Office of Communications Records (AC168), Box 153. This entry was posted in This Week in Princeton History and tagged Chinese New Year, gymnasium, John Maclean, plumbing, Russell Conwell by April C. Armstrong. Bookmark the permalink.